A receptionist plays an extremely important role at General RV as they are the first associate that customers interact with. It is our goal to provide customers with excellent customer service from the moment they enter one of our 13 locations. A receptionist greets showroom customers and directs them to the appropriate departments in addition to doing general office work. An Office Manager is responsible for a wide range of duties and requires a high level of confidentiality and professionalism. Some of these duties include but are not limited to being responsible for managing the HR functions at the store level, processing new hire paperwork, and providing general office assistant to store managers. Additionally, the office managers act as a liaison with the corporate office to provide monthly expense reports, credit card statements, petty cash fund, and other miscellaneous items. 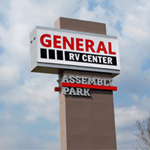 A Title Clerk at General RV plays an integral role in ensuring the sales process is finalized. The Title Clerk is responsible for providing a high level of service to both internal and external customers while ensuring that all federal and state regulations are followed. 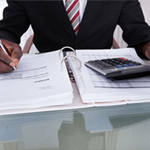 A Title Clerk processes paperwork from the Sales and Finance Department, verifies all information regarding the unit sold is accurate, and submits all legal documentation to the state.